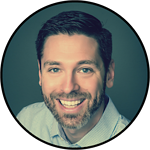 In today's Agent Insights - Andrew Fortune - broker and owner of Great Colorado Homes Inc. shares his take on the most reoccuring Realtor personality types. Read the list below to get a better understanding of your strengths and weaknesses as an agent. Many inexperienced home buyers and sellers think there is not a big difference from one Realtor to the next. The truth is: Realtors come in many different styles. If you know some of the common Realtor personality types ahead of time, you can choose the one that best fits your personality. Obviously, most Realtors will not just fit into one of the categories below. Real estate agents are typically a combination of 2 or 3 of these categories, much like DISC profiles. Remember, in this article I’ve been pretty general for the sake of brevity. I hope I don’t offend anyone - we all have our pros & cons! As a Realtor myself, I fit into a couple of these groups and have to admit that the cons are true. It you're a Realtor reading this, try to be objective and understand that we all have strengths and weaknesses. Being upfront about both our personal strengths and weaknesses helps consumers better trust us and understand that we are human just like them. The personality types below can be plugged into many different sales professions as well. Take the time to evaluate each character type and let us know which ones you would want as your Realtor, and which ones you would avoid. The answers will vary for each person. This agent only specializes in a few tasks. They may show homes and that’s it. Then another member of the team takes over when you’re ready to move to the next step. This is a fast growing segment of the Realtor population. A great team usually has great team members who are highly skilled at their job. The Pros: They have the opportunity to become very good at their niche tasks. The Cons: May not be as knowledgeable about the of the process. This Realtor works part time as an agent, and also has another job. There are many of these agents and they often get a hard time in the real estate community, but there are some great part-timers out there. Just make sure they have plenty of time to help you before getting too involved. The Pros: Can be determined and loyal. The Cons: May not be able to meet you at your convenience. This agent prefers to work the luxury market, which is a totally different animal from the average real estate transaction. This agent is comfortable mingling with wealthy individuals and showing multi-million dollar properties. They know the ins and outs of the luxury market. The Pros: Extremely knowledgable about local high-end real estate. The Cons: They're not very interested if you're not a high roller or fellow luxury agent. This is the agent who gets really excited about new technologies, apps, and gadgets. This agent can be very skilled at listing properties and utilizing technology to market homes. At times it can also seem like they speak another language if you’re not quite as techie. The Pros: Can be creative and impressive with marketing homes. The Cons: Chances of a "nerd out" - where you are bombarded with tech speak; can be more wrappedup in technology than the details of your transaction. This is the most optimistic of all real estate agents. They are bright and cheerful in almost any situation. As soon as you get them on the phone, you will feel your energy levels rise. They are enthusiastic and excited all the time, which could wear you down if you’re more introverted and need to relax to make decisions. The Pros: Lots of smiles. Lots of fun! The Cons: May be mentally exhausting if your personalities clash. This real estate agent is direct and to-the-point in almost every scenario. They are a great match for engineers and people who like data and structure. Don’t expect tips on staging and window treatments from this agent. They are very disciplined and loyal to a fault. The Pros: Honest, loyal, no B.S. - you'll always know what they're thinking. The Cons: Not great for design advice; may not be as sensitive, and can seem harsh at times. This real estate agent will give you their whole life story within minutes of meeting them. They will fill every moment with words. They’re super interested in sharing their stories, but not known for being great listeners. This Realtor can be exhausting to be around for long periods of time. The Pros: Never have to sorry about awkward silence. The Cons: They aren't good at listening to their clients. This Realtor does EVERYTHING. From showing homes, to delivering earnest money, to flying drones. This agent is full of energy and very enthusiastic. Two reasons why agents are one-man shows: 1.) They are skilled at many things, and 2.) They are too cheap to hire anyone. Make sure it’s the former and not the latter! The Pros: You'll never get handed off to another team member. The Cons: When they get busy, they can be hard to get ahold of. This is the Realtor who is just getting started in the business. There are MANY of these Realtors. Don’t discount their abilities, some of them will be mega agents one day. They can be very skilled and knowledgeable about business in general. They may not know as much about complicated real estate scenarios. The Pros: They can be devoted and grateful for your business. The Cons: You may be a guinea pig for them to experiment on. This Realtor has been around since before computers existed. They can have a deep understanding of the real estate market. They usually know the history of neighborhoods and interesting details that many agents do not know. They may not be as skilled with technology, but don't discount the value of their wisdom. The Pros: Extremely knowledgeable about the history of the area and real estate. The Cons: Often aren't knowledgeable about technology that could make the transaction smoother, faster, and easier for you. This is the Realtor who closes 100+ deals every year. They are an impressive breed of Realtor, but you’ll want to know their motivations before moving forward. How and why have they closed so many deals? Are they so skilled that they can really close a deal every 2 or 3 days and still treat you like you’re their most important client? Maybe, maybe not. Just be aware that they may delegate much of your transaction to other team members. The Cons: May be too busy to truly listen and understand your core needs. This real estate agent has a sales pitch for every moment. They are highly skilled at promoting the best features of a property. You may not personally like salespeople, but there are those who really enjoy being “sold” to. It’s all about personal preference. The skill of "the sale" demands some respect and these agents know it well. The Pros: Can help speed up the process and get you into a house fast. The Cons: May skip over any negatives; might not advise you of ALL your options. For more from Andrew Fortune, check our his blog here. Want to become the "Techie" type?